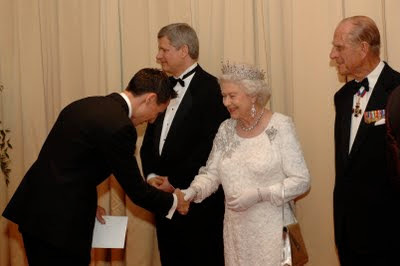 For a dedicated monarchist, a moment with the sovereign, as Keith Roy experienced last summer in Toronto, is never to be forgotten. The visit to Canada by the Duke and Duchess of Cambridge leaves local members of the Monarchist League of Canada feeling royal flushed. The westernmost province is not on the itinerary for the summertime tour by Prince William, a minor disappointment to those who help keep the British in British Columbia. Instead, devoted royal watchers will follow by social media the cross-country journey from the green gables of Prince Edward Island to the dusty paddocks of the Calgary Stampede. Keith Roy, a 29-year-old Vancouver realtor, has downloaded a mobile app for the royal tour issued by the Canadian heritage and official languages ministry. It provides a schedule, photographs and even virtual postcards. Technology has made more visible the aristocratic progeny of a millennium-old institution. As well, the tabloid embarrassments of the late decade of the previous century have been overshadowed, at least for the time being, by the fairytale wedding earlier this year of William Windsor and Catherine Middleton. “It’s a great time to be a monarchist,” Mr. Roy proclaimed. He joined the Monarchist League as a student a decade ago, a fortuitous decision. His membership led to a summer internship in the office of the lieutenant governor of Ontario. He accompanied James Bartleman, a member of the Chippewas of Rama First Nation, on school visits, during which the Queen’s representative wore a buckskin jacket and carried a carved walking stick. Mr Roy remembers schoolchildren being left googly-eyed by the pomp — the viceregal salute and the fluttering lieutenant-governor’s standard on the limousine. He is not immune to such emotions of joy and wonder himself. The Monarchist League knows some consider the monarchy an anachronism, harbour antipathy to the heir to the throne, regard the Royal Family as, in Mr. Roy’s words, “just a bunch of rich old Brits.” The league challenges any hint of republicanism, loyally defends the institution and Canada as a constitutional monarchy. The tour by the Royal Highnesses will include seven official stops in four provinces and one territory over nine days. The cost? About six cents per Canadian. To assuage disappointment over Will and Kate’s itinerary not including British Columbia, the league points out that this tour “will be but the first of many Canadian homecomings” for the couple. It seems inevitable that at some future date Victoria will play host to the great-great-great-great-grandson of the monarch after whom the capital city is named. The first Royal visit to the province occurred in 1882, when the Governor General, the Marquess of Lorne, was accompanied by his wife, Princess Louise, a daughter of Queen Victoria. The first by a reigning sovereign took place in 1939 when George VI and Queen Elizabeth toured the province, during which the large park abutting Cambie Street in Vancouver was named in her honour. Their daughter, then a princess, now the Queen, attended a football game on the University of B.C. campus, as well as a lacrosse match in Vancouver on her inaugural visit in 1951. The local branches of the Monarchist League have been active in recent years in ensuring the Queen’s portrait not be removed from public places, most notably from BC Ferries. It was learned that her image had been removed from seven ferries during retrofitting and renovations. BC Ferries said it was no longer a Crown corporation; the Monarchist League insisted the ferry routes were part of the provincial highway system and thus owned by the Crown. The photographic portraits soon returned following a public outcry. Mr. Roy has met and had conversations with Prince Charles, Prince Andrew, Prince Edward, and Prince Michael of Kent. He regards himself as a seasoned veteran of royal encounters. Still, he found himself nearly speechless when he first spotted the shimmering diamonds of the Queen’s tiara while on a receiving line at the Royal York Hotel in Toronto last summer. After an aide-de-camp read aloud his name in introduction, he bowed and lightly held the Queen’s gloved hand. Will and Kate travel on British passports issued in the Queen’s name. The Queen does not carry a passport. As Mr. Roy well knows, she is Queen of Canada. Kate, Drew and little Emma Grace Lorimer can be found hard at work at Tall Tales Books in Victoria. Chad Hipolito photograph for The Globe and Mail. See Kate. See Kate work. See Drew. See Drew work. Work, Kate, work. Work, Drew, work. See Kate and Drew work in a children’s bookstore. See Kate and Drew work to keep the Big Bad Wolf from the door. See Kate and Drew try to earn a modest living while operating a bright, kid-friendly book emporium. Funny, funny Kate and Drew. The couple had a dream. Open a bookstore. Stock up on 2,000 of the best titles. Encourage parents to read to their children. The creation of Tall Tales Books is a fairy tale whose final chapter might be written in the coming days. The proprietors opened the doors at 795 Fort St. in Victoria 22 months ago. Kate, 31, and Drew, 33, have since learned some lessons. They have learned E is for E-books. They have learned O is for Online Ordering. They have learned R is for Recession. They have learned the Canadian dollar, which not so long ago seemed as valuable as Monopoly script, is now worth more than the greenback. Monthly sales have been up and down, up and down like a yo-yo. Worst of all, the economy went into the potty. So, the couple brainstormed for a way to keep their bricks-and-mortar bookshop solvent. A book-of-the-month club? Too restricting for the clientele. Donations? Nah. They’re a business, not a charity. Kate and Drew Lorimer settled on what they call the Tall Tales Books Hero Society. They are soliciting subscribers who promise to make monthly payments — as little as $10 per month — in exchange for merchandise at the store. The couple seek 400 subscribers by Canada Day. They signed up the 60th subscriber last Wednesday, hit 88 on Friday morning, soon after passing the century mark. The store was busy on Saturday, which happened to be Save Bookstores Day!, an online initiative by customers in Canada and the United States to support local independents. By Sunday morning, they had 115. They met while working at the Capilano Suspension Bridge in North Vancouver. (Sometimes, love really is a high-wire act.) 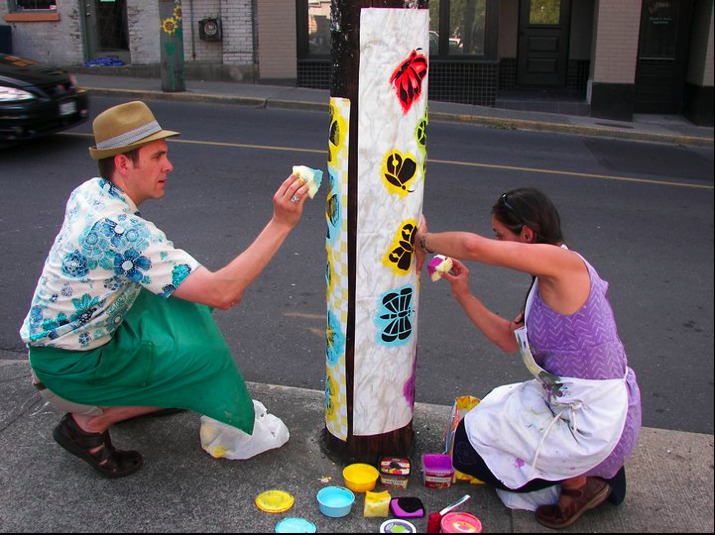 They married four years ago, then moved to Victoria. These days, they are sometimes joined in the store by Emma Grace Lorimer, who turns three next week. Tall Tales is a mom-and-pop operation. The store has wide aisles for strollers, change tables in the washroom, and low-to-the-floor tables for toddlers. It also plays host to regular readings, often featuring Shoshana Litman of the Victoria Storytellers’ Guild. As they struggle to stay open, a bedtime book for children currently tops the bestseller’s list. However, the Lorimers will not be stocking a volume in which the rhyming scheme includes a popular if vulgar Anglo-Saxonism. It is rendered on the cover as Go the F**k to Sleep. Mr. Lorimer’s favourite book to read to his daughter is Nick Bland’s The Very Cranky Bear, in which a lion, moose, sheep, and zebra unwittingly disturb a hibernating bruin. It is more family friendly to read about a bear of foul disposition, rather than to bare foul language. SNAPSHOT IN SEPIA: Tony Bohanan, the Liverpudlian who established Tony’s Old Time Portrait Studio in Victoria in 1970, has been named posthumously to the hall of fame of the Antique and Amusement Photographers International. Bohanan shot locals and tourists in period costumes with topical backdrops at his shop on Broughton Street until his death last year, aged 78. Jessica Ziakin Cook hopes the stranger who attacked her will come out of prison a better man. Chad Hipolito photograph for the The Globe and Mail. She hobbled from the front bench to the witness box, scars on her leg but forgiveness in her heart. Jessica Ziakin Cook, 28, who plans on becoming an art therapist, faced her attacker in a Victoria courtroom on Friday. It nearly cost the young woman her life. Twenty-two months earlier, a peaceful, fruitful life filled with university studies and church duties and volunteer work for a soup kitchen was intruded upon by an “overwhelming malevolence” that continues to haunt her to this day. She had been asleep in her Esquimalt apartment with her husband, Matthew Cook, thrifty newlyweds whose wedding ceremony 24 days earlier had concluded with a potluck reception. The modest apartment was stocked with wedding gifts, many of which were inspired by her reputation as a chef. Among them was a set of new kitchen knives. A noise startled her awake. She left the bed to check on the cat, Mortimer, whom she addressed in baby talk. Seeing nothing amiss, she turned off the lights, went to the bathroom. It was 4 a.m. on Sept. 9, 2009. Hours earlier, an 18-year-old man attended a concert by Die Mannequin and Marilyn Manson before retiring to Anderson Park to drink with friends. He then broke into a home on a cul-de-sac abutting the park, arming himself in the kitchen before hiding in the bathroom. The intruder slashed at her. Her hand protected her throat, deflecting the blade to her collarbone. He lunged at her again, pushing a large kitchen knife through the back of her left leg, severing the femoral artery before the point came out the other side of her thigh. “A very medieval injury,” she calls it now. Her screams awoke her husband, who tussled with the intruder before tending to his wife. They called 9-1-1. Life seemed to ebb from Jessica with each heartbeat, a crimson pool spreading from her grievous wound. She remembers hanging up on the dispatcher, so that she and her husband could spend what they feared might be her final moments together. The police arrived and, in the chaos, grabbed the husband. She awoke in hospital a day later, a respirator down her throat. She had lost half her blood and would endure two operations to repair nerve and muscle damage. Two weeks in the hospital was followed by painstaking months of physiotherapy. 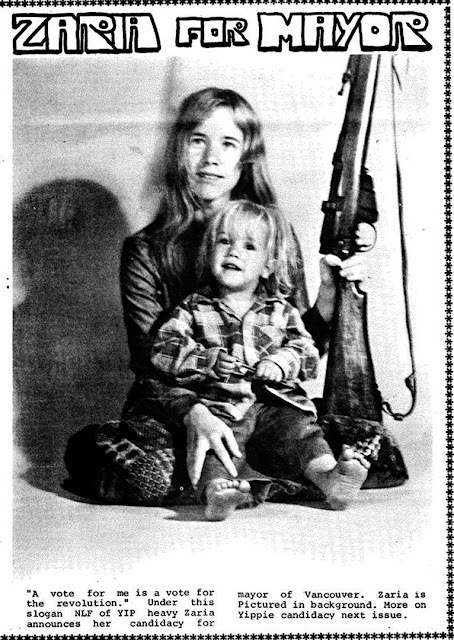 For a brief time, perhaps as long as a week, she tried unsuccessfully to become an atheist. The attack left her unwilling to close her eyes in prayer or meditation, a fear of the unthinkable now understandably too real. As she recovered, she received knitted prayer shawls from the Anglican Church Women on Vancouver Island. A soup kitchen at which she volunteers held a fundraising dinner to help the couple cover their $1,125 monthly rent. The couple have since moved to a new home. They are active in the Church of Saint Barnabas. They conduct Bible study in their apartment three times a month. On the second Wednesday of each month, she joins others at Theology on Tap, a two-hour discussion of faith and philosophy over pints at the Fernwood Inn. In court, she decided to read her victim impact statement in the same tone she uses while reading from the pulpit in church. “Slower than you think you ought to,” she said. She told court she felt her attacker should have been charged with attempted murder. She told her attacker she did not believe his story of mixing up her house with another. She told him she did not understand why he attacked her instead of fleeing. Her husband, who works at a halfway home for parolees, also read a statement, as did the attacker. She said he showed contrition in his apologies. Earlier, he pleaded guilty to a charge of aggravated assault. Judge Robert Higinbotham sentenced Alexander Vince Escobar, now 20, to five years in prison. As sheriff’s escorted the handcuffed man from the courtroom, Jessica’s husband called out to him. The exterior of Nat Bailey Stadium in Vancouver is decorated by reproductions of the brilliant baseball paintings of local artist Jennifer Ettinger. Bill Whyte is 83 now, the left arm with which he once earned a paycheque no longer in top form. He has been out tossing baseballs to get the arm back in shape. As a young man, he earned his keep pitching for the Vancouver Capilanos, a team named after a beer brewed by a brewery named for a local tribe. 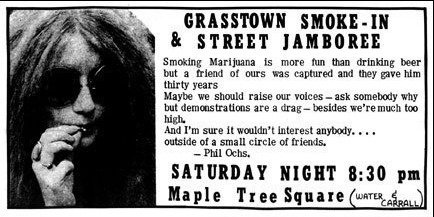 They played in a wooden ball park torn down to make way for an on-ramp to the Granville Street Bridge. Mr. Whyte won the last game ever played in the old bandbox, helping his cause by stroking a long single to tie the game in the ninth inning. A week later, he stood on the sod of a new concrete ball park built in the lee of Little Mountain. 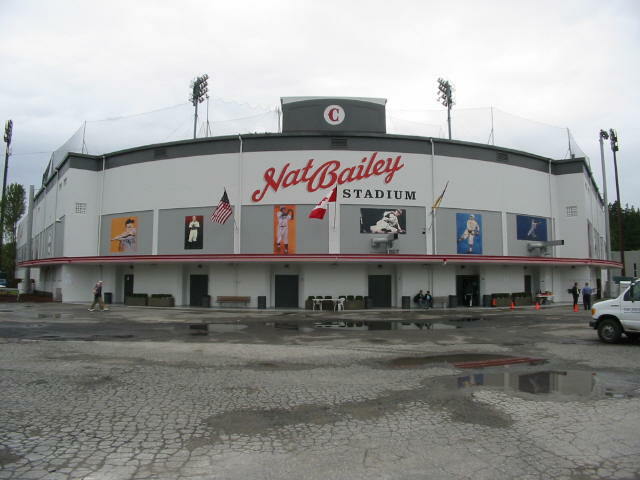 It carried the same name as the old park — Capilano Stadium — although the official moniker these days is Scotiabank Field at Nat Bailey Stadium. Fans call it The Nat. The park turned 60 this week, a landmark birthday to be celebrated on Friday when the summer game returns to Vancouver. The home team Canadians will hand out refrigerator-magnet schedules before the game and launch fireworks afterwards. 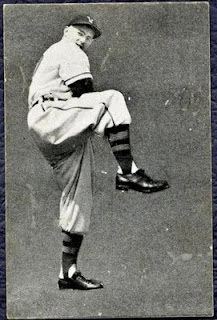 Bill Whyte depicted on a rare card. Such extravagances were unknown when Mr. Whyte, a butcher’s son, earned $350 per month back in 1951. The Capilanos were managed by Bob Brown, a potato-nosed veteran of the Spanish-American War. He was such a skinflint he had urchins scavenge foul balls landing outside the wooden stadium. He’d let them in for free if they surrendered a ball. The handful of surviving players who called the original Capilano Stadium home do not remember it as a bucolic playground. “It was a firetrap,” Mr. Whyte said from his home in Nanaimo. “It caught on fire a number of times. Bob Brown had cleared the land by placing dynamite beside stumps on the edge of a cliff overlooking the mills and factories on False Creek. The diamond was shoehorned into a city block. Home plate could be found just beyond the corner of West Fifth Avenue and Hemlock Street. Left field extended all the way to Birch, an expanse so deep that Mr. Brown employed a goat to keep the grass trim. The right-field wall was too close to home plate, so a tall fence was topped by a chicken-wire screen. Beyond that, neighbours perched on roofs for a free view of the game, an unexploited revenue source that no doubt frustrated Mr. Brown. They played field lacrosse and even professional football in the field in 1941, but it was mostly home to baseball, including the ferocious rivalries of the senior amateur leagues. The first night baseball game in Canada was played under the lights at the park in 1931. Three years later, a barnstorming troupe of ball players, including Babe Ruth and Lou Gehrig, stopped off in Vancouver on their way to Japan. They played an exhibition in the pouring rain, Ruth stroking a foul ball so deep it was reported to be on its way to Marpole. 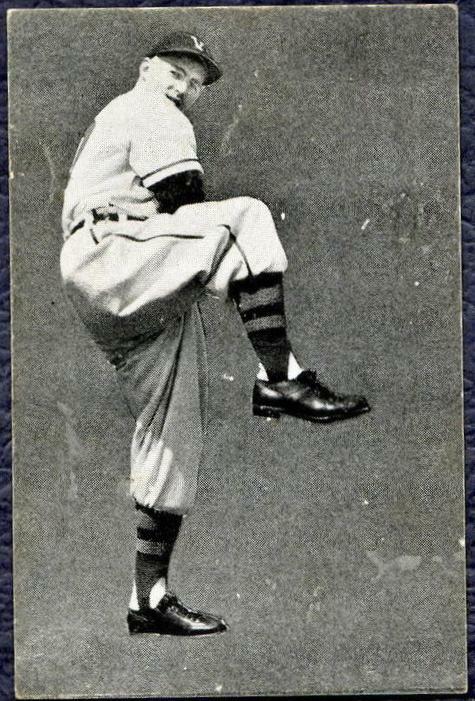 The old park was in a decrepit state by the time Mr. Whyte, a fireplug-sized lefthander, joined the roster. Players warmly greeted the midseason move to a new facility. That might explain why Mr. Whyte has been working on his pitching. On Friday, he will be asked to throw out the ceremonial first pitch to open the season and to mark the ball park’s birthday. He worked as the first-base coach in that inaugural game, spent a few years in baseball’s low minors, earned accolades as a stellar rugby fly-half, became a teacher and, later, a principal at Churchill and Kitsilano high schools. What kind of pitch will he throw to open the game? He should be in good form. After all, he is pitching on nearly 60-years’ rest. Ken Mallen beat the great Cyclone Taylor in a speedskating showdown and was widely regarded as the fastest skater of his era. 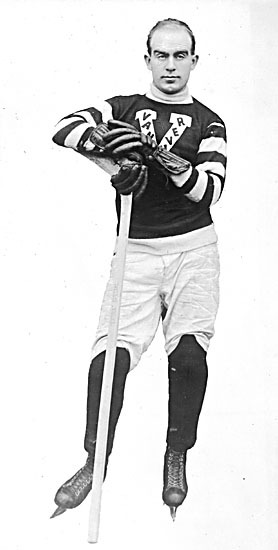 He won a Stanley Cup championship with the Vancouver Millionaires in 1915. For reasons unknown, his name was left off the trophy. Mallen is shown here wearing the sweater of the New Westminster Royals. 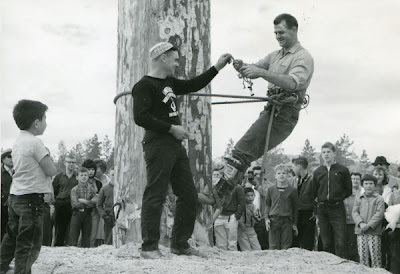 Photograph from the City of Vancouver Archives, Sp P113.01. The final seconds ticked off the timekeeper’s clock, bringing an end to the hockey season and a championship to a Vancouver hockey club. The Millionaires, a nickname used in 1915 to praise, not denigrate, a professional athlete, completed a three-game sweep of the Ottawa Senators. The final game ended 12-3, a drubbing that reflected the series. The skaters retired to their dressing room in the Denman Arena, a hulking brick building overlooking Coal Harbour at the entrance to Stanley Park. Thousands of spectators had clamored to get into the rink for the games, the swells amongst them dropping a stiff $1.25 for a pasteboard to the best seats. Others made due with a 50-cent admission for a rush seat in the steeply-sloped upper deck. Special streetcars delivered fans to the arena. A hardy handful rode the intercity railway from as far afield as Chilliwack, a three-hour milk-run journey that departed at 5 p.m. and brought them home at 2:30 a.m. In the bowels of the building, the celebrating Vancouver players were joined by their rivals, who crowded in to offer congratulations. “You have a great team here,” Ottawa manager Frank Shaughnessy said. 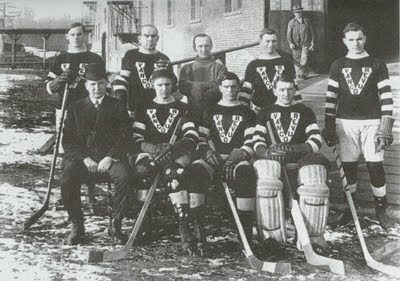 The victory meant the Millionaires had claimed rights to a silver punchbowl purchased for 10 guineas (about $50) in London and on which had been engraved “Dominion hockey challenge cup” and “From Stanley of Preston.” It was the first time the Stanley Cup, then 23 years old and already storied, had been won by a team west of Winnipeg. Alas, the Ottawa side neglected to bring the trophy with them on the transcontinental train trek, “a thoughtless bit of work,” as one local reporter noted. The Cup arrived six weeks later. Later still, an engraver tapped into the silver the names of nine Millionaires, recording for posterity their great achievement. A tenth player, a veteran forward and a regular during the regular season who skated in two of three games of the finals, was inexplicably overlooked. Ken Mallen is the man whose name was left off the Stanley Cup. 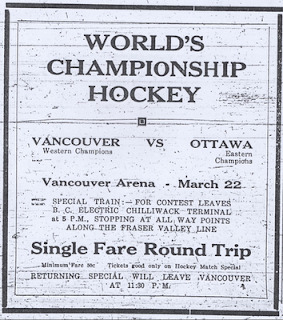 After the finals, the Senators left for Seattle on their way to San Francisco to attend the Panama-Pacific International Exhibition, a showcase for a city devastated nine years earlier by an earthquake and fire. The Millionaires scattered. Barney Stanley returned home to Edmonton and Jim Seaborn to Winnipeg. The cattle on Lloyd (Farmer) Cook’s prairie ranch needed tending. The sure-handed Mickey MacKay, known as the Wee Scot, left for Grand Forks, B.C., where he was to join a survey party for the summer. Frank (the Pembroke Peach) Nighbor, a gentlemanly player whose brilliant poke-checking drove opponents mad with frustration, departed for the Ontario hometown that gave him his nickname. The goaltender Hughie (Old Eagle Eyes) Lehman returned to Berlin, Ont., an industrial city whose name was soon to be changed from that of an enemy capital to Kitchener, after the British war minister killed in action. Only four of the Millionaires lived in the Lower Mainland. Frank Patrick played defence and managed the Denman Arena, which he had built four years earlier when he and his brother, Lester, established a professional hockey league on the Pacific Coast. The great Fred (Cyclone) Taylor served as an immigration inspector. It had been his job the previous year to patrol the Komagata Maru to prevent the passengers, most of them Sikhs, from disembarking. The freighter and its suffering passengers remained moored in Coal Harbour for weeks before being chased off by an armed navy boat, a standoff for which the Canadian prime minister apologized just three years ago. Si Griffis, the Millionaires’ captain who sat out the finals with a broken leg, watching the games from the penalty box, sold advertising for the News-Herald. 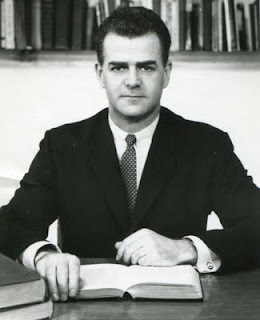 Mallen spent his work days as a clerk at New Westminster City Hall. He lived at 238 First St., across from Queen’s Park, a boarder in a home named Bundahie, built in the style of a classic Edwardian box and owned by a widow who taught piano. Mallen, a speedy skater, had been lured west by the high contracts on offer by the Patrick brothers in the fledgling Pacific Coast Hockey Association. He was an original member of the New Westminster Royals in 1911, netting 14 goals in 13 games. When the Royals moved to Portland, Ore., he was traded to the Millionaires. Born in Morrisburg, Ont., he also had two brothers who played professional hockey in the early days. In 1904, the 5-foot-8, 160-pound skater joined the Calumet (Mich.) Miners of the International Hockey League. Known for his agility and his stickhandling, he netted 38 goals in 24 games to finish second in league scoring. He eventually wound up wearing the sweaters of the Ottawa Senators and Quebec Bulldogs of the National Hockey Association, the premier pro league in Eastern Canada. His debut in Stanley Cup play came on Jan. 5, 1910, when Ottawa, as holders of the trophy, accepted a challenge from Galt, champions of the Ontario Pro Hockey League. An older brother, Jim, played forward for Galt. The Senators held off their provincial rivals before defeating the Edmonton Eskimos. Ottawa then lost the N.H.A. championship — and with it the Stanley Cup — to the Montreal Wanderers. After moving to the coast, Mallen took part in a series of speed races designed to showcase the circuit’s high-paid talent. He blew past Griffis and Cyclone Taylor, who had earned his nickname in recognition of his madcap rushes. The triumph cemented Mallen’s reputation as the fastest man on ice. Meanwhile, the N.H.A. and the Patrick league continued raiding players, as skaters regularly jumped contract for more lucrative offers. As well, a battle over rights to the Stanley Cup was fought in boardrooms and on the pages of newspapers. The N.H.A. feared Frank Patrick would not defend challenges for the Stanley Cup. He promised to do so. The Cup’s trustees declared the trophy to be emblematic of a world championship, not just a Canadian honour. In 1907, the Montreal Wanderers had 20 names of players and club executives engraved on the interior base of the bowl. No other team matched that audacious decision until the Millionaires had engraved on the interior fluting of the bowl the names of nine players. For some reason, Mallen’s name was missed. The reason for the snub remains unknown. Perhaps he had already left the club by the time of the engraving and so was excluded. Perhaps his departure had not gone well. Perhaps it was inadvertent, a clerical mistake. In any case, Mallen, who died of pneumonia in his hometown in 1930, aged 45, is deserving of the recognition afforded Cyclone and the Wee Scot and Old Eagle Eyes. The engraving of player names on the trophy only became standard practice after 1924. It is the goal which each of the Vancouver Canucks seeks this month, an honour that has eluded the club for 40 seasons. Should they succeed, they can take a moment while chugging champagne from the bowl to read the names of nine men who beat them to the punch 96 years earlier. 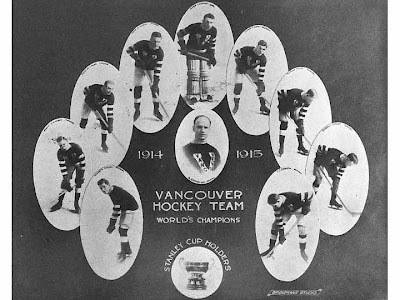 The 1915 Vancouver Millionaires, led by the scoring of Fred (Cyclone) Taylor (back row, second from left), defeated the Ottawa Senators to claim the Stanley Cup. It was the first time the storied trophy had been claimed by a team west of Winnipeg. James S. Matthews, Vancouver's first archivist, gathered recollections of the city's earliest pioneers into seven hand-typed volumes. The 3,300 pages include photographs and several of the archivist's sketches. Above is his illustration of Gassy Jack's first saloon in what is now Gastown. The output of a life’s work can be found in seven tattered volumes on a shelf in a storage area at the Vancouver archives. Fill out a requisition form and wait at a table. No food, or ink pens allowed. In a few minutes, the books arrive. The leather bindings are scuffed and tattered. Three are in such disrepair — bindings cracked, pages loose — they are now stored in boxes of acid-free cardboard. Open a book and one finds the story of a city at its founding — primitive shelters carved from the looming forest, a conflagration that nearly snuffed the settlement at its founding. More than 3,300 pages — filled with hand-drawings, annotated photographs, and, mostly, single-spaced, typewritten text — tells the tale of the city by its earliest residents. These were compiled by James Skitt Matthews, the city’s first archivist and a man whose obsession preserved the story of a remarkable settlement that grew from hamlet to metropolis in a century. He recorded the memories of pioneer settlers and of men such as August Jack Khatsahlano, who as a boy had watched the new-found city burn from the safety of Kitsilano Point, on which could be found the Squamish Nation village of Snauq (also Sun’ahk). Some tales are priceless, some informative, some merely capturing the spirit of the times. Mr. Matthews included his own reminiscences. Turn to page 70 of Volume One of his Early Vancouver to read about the Great Salmon Year of 1900, during which pyramids of scaly carcasses covered docks and beaches. 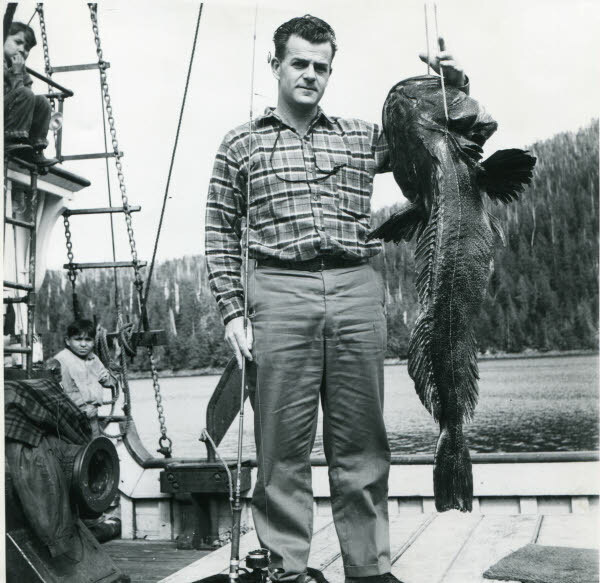 The fish was sold at 5 cents each, if not given away, and he retells the story of having a salmon secreted within a newspaper under his arm when he was jostled on the streetcar. The slippery fish squirted free, flopping onto the floor of the streetcar to the mortification of his wife. Salmon, you see, was Indian food, not fit for the elite to eat. A few entries earlier, one reads about a cougar hunted in Stanley Park in 1911 and a bear shot in what is now Kerrisdale the same year. The onionskin paper crackles with each turn of the page. It is the sound of history having been made. Mr. Matthews began his magnum opus during the Depression, continuing until 1956, by which time he had seven unique, hand-produced volumes. (He also created revised editions and copies, each typewritten, mostly by himself.) It has long been one of the most frequently requested resources at the archives, hence its battered state. The seven volumes are an invaluable tool for historians and a means to find the flavour of an historical age. The author Lee Henderson dipped into the idiosyncratic work while writing The Man Game, his well-received 2008 novel set in the frontier town. For years, researchers have made a pilgrimage to the archives to consult the volumes. Now, every page is available online in a format searchable by keyword, the result of hundreds a painstaking hours of digitizing and transcribing as part of a project financed by the non-profit Vancouver Historical Society. The online edition of Early Vancouver launched 11 days ago. The effort to bring onionskin pages into the digital world was not without hiccups. An attempt to scan the pages did not work, as the thin paper and clunky ink blots from the typewriter made it difficult for the computer to make out words. As well, Mr. Matthews included lengthy, handwritten corrections and addenda to his entries. He began collecting in the 1920s, accumulating a half-million photographs and reams of civic records and personal papers. 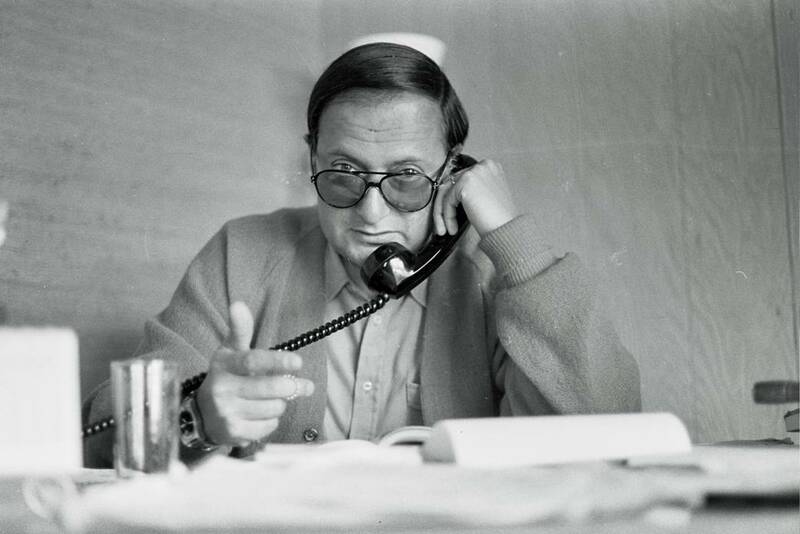 He squabbled with city fathers, at one point removing his entire collection from City Hall and storing it at his home. The original seven volumes of his Early Vancouver are housed in an archives building that bears his name. It is in Vanier Park, a few steps from the site where young Khatsahlano watched a fledgling city burn to the ground in the year of its founding. City archivist James S. Matthews often added his own handwritten notes to rare photographs. The Wah Chong laundry was established two years before the city's founding. The Vancouver Millionaires swept the visiting Ottawa Senators in three straight games in 1915 to bring the Stanley Cup west of Winnipeg for the first time. The Ottawa team traversed a frozen continent to play hockey in a city bereft of ice except for an artificial sheet at the arena. A party of 13, a “hoodoo number” complained some of the more superstitious among them, alighted from a Great Northern train at Central Station to be greeted by dignitaries bearing gifts. Within hours, the athletes skated in practice, every maneuvre studied by fans who flocked to witness the spectacle of the Eastern champions in action. The Ottawa Senators journeyed to Vancouver to engage a challenge for the Stanley Cup, commissioned only 23 years earlier. The visitors neglected to bring with them the storied trophy, “a thoughtless bit of work,” one reporter noted. The local professionals were known as the Millionaires. In 1915, it was a superlative, not a salary. Frank Patrick, whose father had been a lumber baron, assembled a brilliant — and expensive — aggregation of ice mercenaries. The roster included Mickey MacKay, a dazzling goal scorer and smooth skater called The Wee Scot; Barney Stanley, a young forward who had only played five games as a pro; Lloyd (Farmer) Cook, a steady if unspectacular forward; Frank (the Pembroke Peach) Nighbor, a gentlemanly opponent whose patented poke-check drove rivals mad with frustration; Si Griffis, the capain, a quiet but effective leader on defence; and, Hugh Lehman, a goaltender so adept at blocking the puck he was dubbed Old Eagle Eyes. The best of them was Frederick Wellington Taylor, a tough, hard-nosed player whose balding pate made him recognizable from the farthest seat. Mr. Taylor was dubbed the Listowel Wonder for the Ontario town where he made his hockey debut as a boy. He skated fast, so was called Tornado and Whirlwind, but the nickname that stuck was Cyclone. Eager hockey fans thronged to buy tickets to what was billed as the world’s series of hockey, the first time a Stanley Cup game had been played west of Winnipeg. Top price was $1.25, while unreserved rush spots in the gallery went for 50 cents. Before the best-of-five series began, the Senators enjoyed a motor tour of the city, rambling along Marine Drive and Stanley Park, named for the same man whose name graces the silver mug. They posed for a photograph at the Hollow Tree. The manager of their hotel, the first-class Elysium, on Pender Street, entertained the players with a tour of Indian Arm by power launch. Loew’s Theatre offered ducats to a vaudeville show featuring an eccentric violinist, while the electric street railway company issued passes for the duration of their stay. 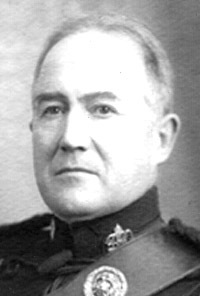 Ottawa manager Frank Shaughnessy welcomed the hospitality, but drew the line on attending banquets, as he did not want his players to be wined and dined before the series. The first, third and fifth games were to be played under Western rules — seven players, including a rover, who skated behind centre; penalties forcing a team to play shorthanded; blue lines painted on the ice allowing forward passing in the centre-ice area. The Ottawa coach insisted the innovation would never catch on. “It makes a farce of the game,” Alf Smith complained. The Easterners played six-a-side with no forward passing allowed at any time. As well, a penalized player was replaced by a substitute. On the day of the first game on March 22, 1915, a mud slide engulfed the midnight shift at the Britannia Mines north of Vancouver, killing 56. The news dominated local newspapers that day. In the evening, more than 7,000 spectators flocked to the Denman Arena, a hulking brick sports palace on the waterfront at the entrance to Stanley Park. 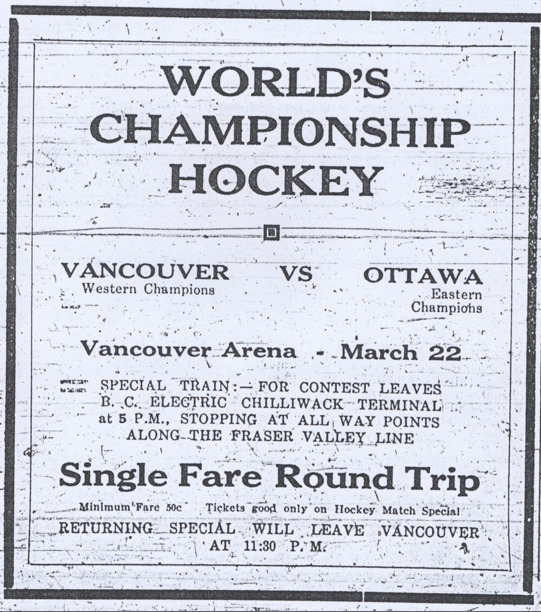 Many rode special streetcars to the game, some riding electric trains from as far afield as Chilliwack. They cheered the Millionaires as they faced the famed Senators, led by the scoring of Harry (Punch) Broadbent with the dependable Art Ross on defence and Clint Benedict in goal. Mr. Griffis, the Vancouver captain, watched the game from the penalty box, as he had been diagnosed with a cracked ankle suffered in an exhibition match. His replacement, Mr. Stanley, opened the scoring midway through the first period. The Millionaires’ superior speed combined with a relentless pursuit of opponents — “Check back boys!” coach Lester Patrick, Frank’s brother, yelled from the bench — led to a dominating 6-2 victory. In the second game, Vancouver scored an 8-3 win despite Ottawa targeting the best player on the ice. “Cyclone was a marked man from the outset,” reported the Daily Province, “but his uncanny skating ability saved him time and time again.” Near the end of the second game, a stiff bodycheck finally forced him off the ice. The Millionaires claimed the championship with a 12-3 drubbing. Cyclone ended the series with seven goals. The visitors blamed the low altitude and heavy sea air for their sluggish performance. “Ignominiously routed,” reported the Ottawa Evening Journal. After the game, the defeated players filed into the dressing room of the victors, offering hearty congratulations. “You have a great team here,” the Ottawa manager said. With that, the Senators embarked for San Francisco to attend the Panama-Pacific International Exhibition, being held just nine years after the city had been devastated by an earthquake and fire. About 16,000 spectators had attended the three games. The players share of ticket revenue, less the travel costs for the Ottawa club, provided about $300 for each Millionaire and $200 for each Senator. The Stanley Cup did not arrive in the city until May 12. The silverware was sent to an engraver who added “Vancouver, B.C./ 1914-15/ Defeated Ottawa/ 3 straight games” on a base ring. Along the fluted sides in the interior of the bowl, the artisan engraved the names of Frank Patrick and eight players. Perhaps later this month, other players in the livery of a Vancouver team will be able to pause after swigging champagne from the cup to read the names of players better known as Cyclone and Eagle Eyes and the Wee Scot. The Japanese-owned freighter Komagata Maru arrived in British Columbia waters in May, 1914. Aboard were 376 Punjabis, most of them Sikhs, who had chartered the ship from Hong Kong. The passengers sought to circumvent racist rules designed to keep British subjects from East India out of Canada. The order to tell them they would not be able to disembark fell to the No. 3 man in the local immigration office, a tough-minded athlete by the name Fred W. Taylor. Hockey and lacrosse fans knew him better as Cyclone. Over the coming weeks, as the circumstances on board became ever more dire, Mr. Taylor roamed the decks ensuring no one left, or came aboard the vessel, which was anchored in Coal Harbour. Not surprisingly, the thwarted passengers became belligerent over time. “They’d curse us and press against us and sometimes fought us off as we came aboard, shouting threats and insults,” he told his biographer. The passengers tried to repulse boardings by throwing coal, other times by emptying chamber pots. The two-month-long standoff ended when an armed naval cruiser threatened to attack the ship. The freighter was forced from Canadian waters, a black mark in our history for which the prime minister apologized just three years ago. Less than a year after the confrontation, Mr. Taylor’s on-ice prowess helped the Vancouver Millionaires hockey club win the city’s first — and, so far, only — Stanley Cup championship. In 1976, Mr. Taylor, then 92, met with Giani Kartar Singh, a frail and partially deaf 97-year old. The two men were believed to be the only living participants in the shameful incident. The former adversaries, speaking through an interpreter, had an entirely amicable conversation.